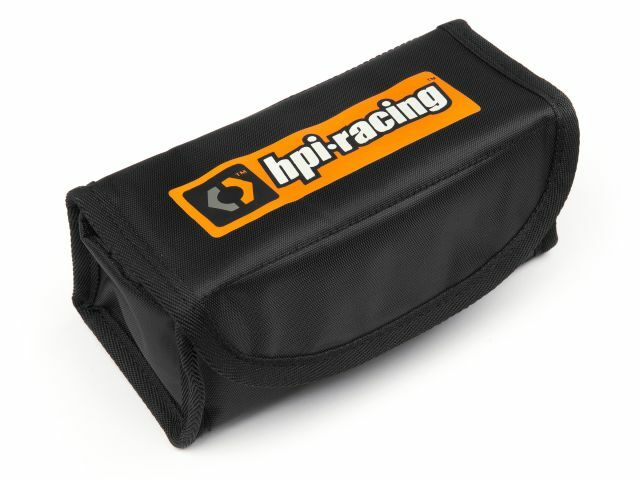 Charge your LiPo batteries with complete confidence using the HPI Plazma Pouch LiPo Safe Case! The HPI Plazma Pouch Safe Case is the ultimate protection for all types of batteries while storing, transporting, charging or cycling your Plazma batteries or any other brand of NiMH or LiPo batteries. The Plazma Pouch Case is flameproof and provides superior protection for your pit area and home from overcharged or damaged batteries.